The all-new Hyundai Genesis and Sonata have won the GOOD DESIGN Awards for their quality design, function and aesthetics from The Chicago Athenaeum: Museum of Architecture and Design, and The European Centre for Architecture Art Design and Urban Studies. GOOD DESIGN is one of the oldest and most prestigious architecture and design awards program that honours achievements of the best industrial and graphic designers and world manufactures every year. The GOOD DESIGN Awards were judged in Chicago by an international jury of design professionals, architects, experts and cultural leaders. The new Hyundai Genesis comes with an all-new design inside and out with a host of premium features and improved dynamics. 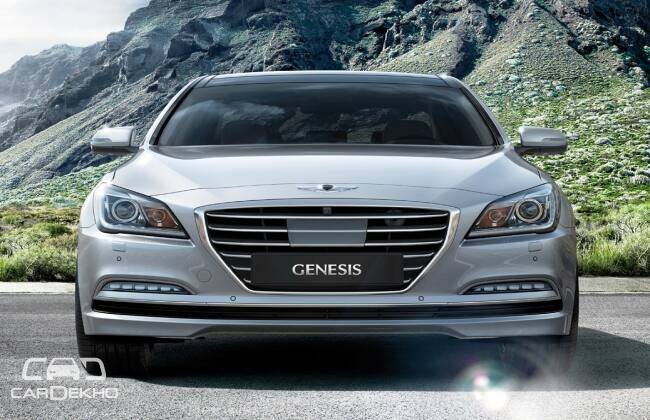 The Genesis built on a completely revamped platform and the car is stiffer and stronger than before and comes with an array of advanced assistance features such as Rear Cross-traffic Alert, Lane Change Assist, Blind-Spot Detection and Smart Cruise Control are offered. The all-new seventh-generation Sonata offers a more refined look through a new Fluidic Sculpture 2.0 design language, stiffer body structure, better ride quality, reduced noise, vibration and harshness and advanced safety and convenience features.